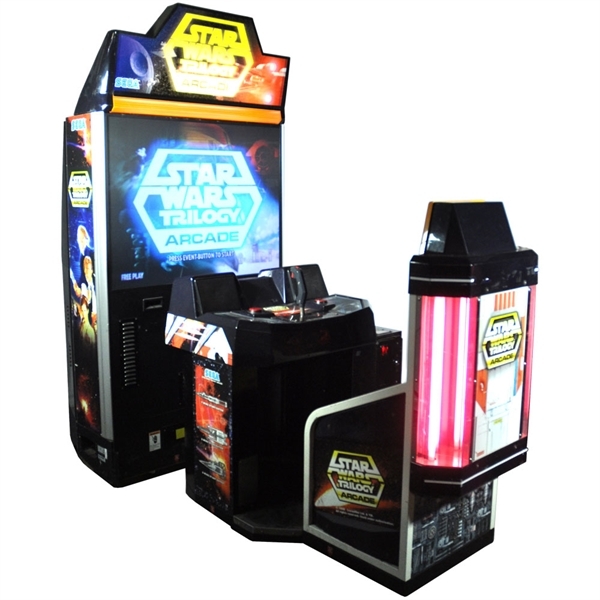 The Star Wars Trilogy Arcade Game needs no introduction! 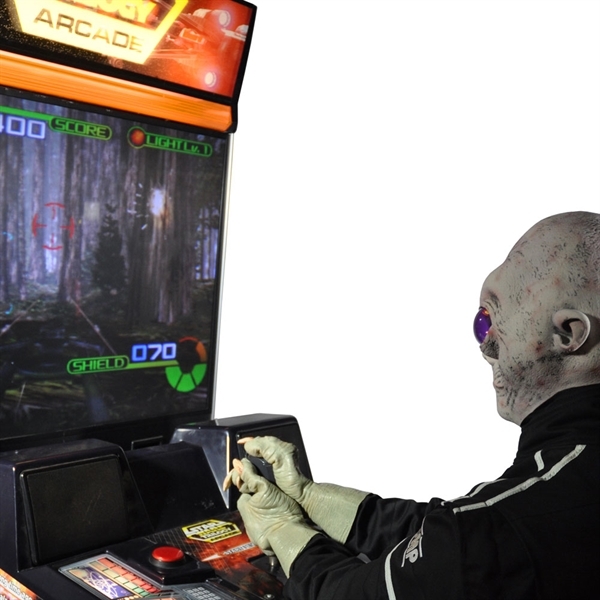 All we need to tell you is that Sega and LucasFilm have teamed up to produce one of the greatest arcade games in history. With three standard stages, and two special light-saber duals with Boba Fett and the inimitable Darth Vader. 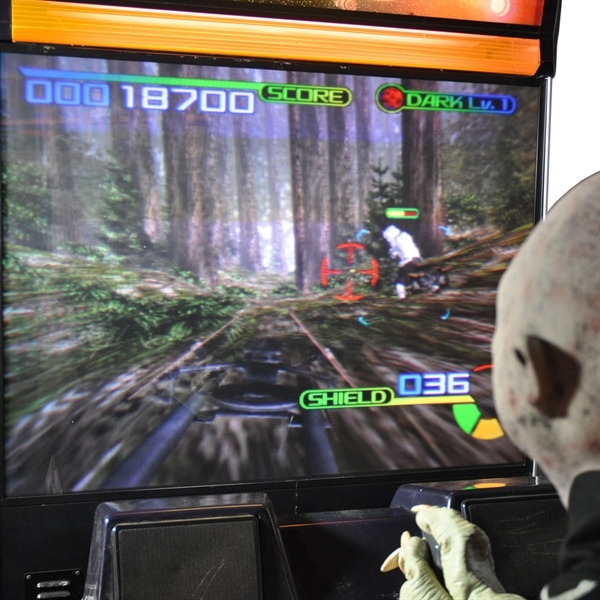 Never underestimate the power of Star Wars Trilogy Arcade Game. 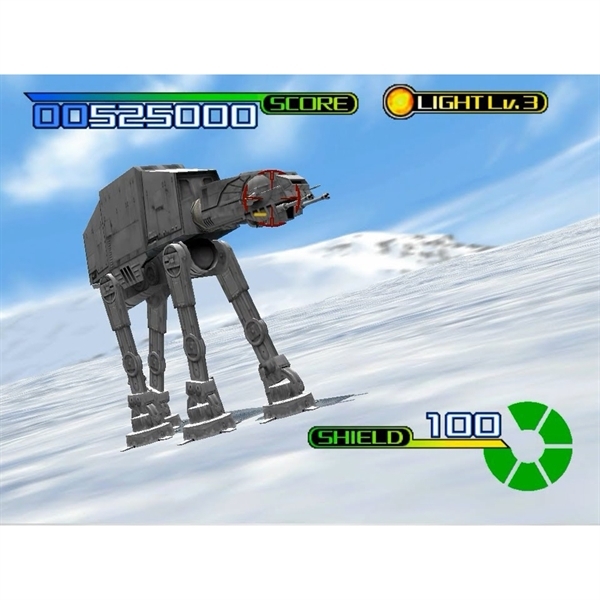 The Star Wars Trilogy Arcade Game wheels on castors, we must be informed about any steps, stairs or lifts, short flights of stairs (1-10) can be negotiated with ramps. Longer flights are possible with a stair walker or with extra manpower. The Star Wars Trilogy Arcade Games will go in most lifts however you must make us aware of lift dimensions. We can provide a drawing for you to fill in. The use of ramps and or extra manpower can incur a surcharge for delivery. 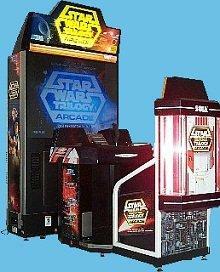 These The Star Wars Trilogy Arcade Games are not designed for outdoor use, however they are suitable for marquees. We must be made aware if the arcade games are to be moved on anything other than hard ground, we can provide boards to move them on soft ground.